Shopping for Fallout Vinyl Figures? Level up with the Toughness perk! Exclusive Vault Boy vinyl figure! Based on the Fallout video game series. Entertainment Earth Exclusive! Add +10% to your vinyl collection when you level up with the Fallout Vault Boy Toughness Dorbz Vinyl Figure. As seen throughout the Fallout game series, this adorable little guy will level up your Damage Resistance! 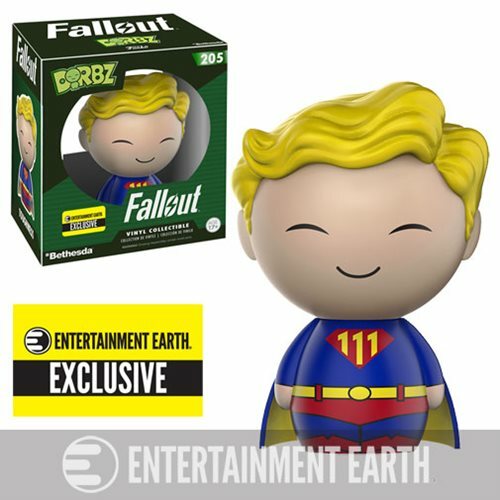 In red, yellow, and blue, this exclusive Fallout Vault Boy Toughness Dorbz Vinyl Figure measures approximately 3-inches tall and can only be found at Entertainment Earth. Order yours now! Ages 17 and up.